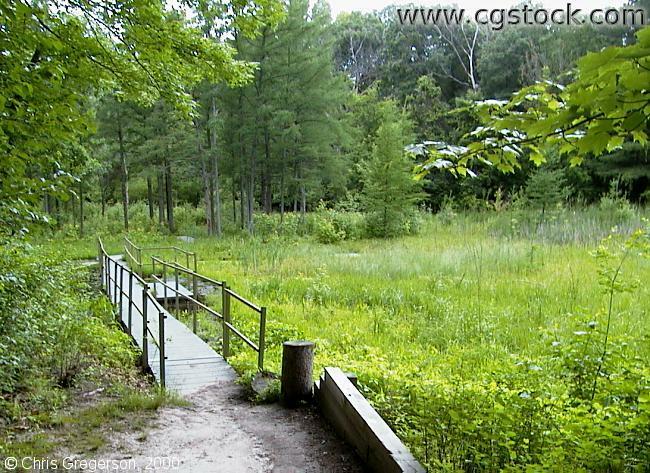 This is a bog inside Theodore Wirth Park. It looks like prairie in this photo, but it's actually water. This is about 200 yards west of Theodore Wirth Parkway, just south of Glenwood Avenue. The bridge on the left is made of floating segments joined together, so water ripples over the edges when you walk on it. The walking path continues on the other side.